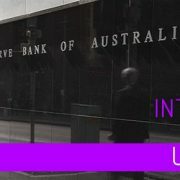 CoreLogic head of research Tim Lawless said of today’s decision, “The hold decision was widely anticipated, considering a subtle uplift in CPI and steady labour market conditions, however financial markets are increasingly leaning towards the next move from the RBA being a cut rather than a hike. “With CoreLogic’s January hedonic index revealing national dwelling values are falling at the fastest rate since the GFC, while Sydney and Melbourne’s rate of decline is now the most rapid since at least the early 1980’s, there is the potential the RBA may be becoming less comfortable with the performance of the housing sector. Add to this a consistent downtrend in dwelling approvals, weakening consumer sentiment and softer retail trade figures, and it looks like the household sector could start to weigh down economic growth. All’s fair in love and war, and the same might be said for negotiating with real estate agents. Whilst you want to get the best possible deal on your purchase, the agent is responsible for getting the best possible price for their client – the vendor. Depending on how long you have been looking, you might be tempted to just pay the asking price to free up your Saturday mornings again. But just think – how much sooner could you pay your loan off if you saved tens of thousands on the purchase price? Focus on positives all around. The best way to negotiate is for every party to feel like they won the game in some way. Communicate clearly and develop a rapport with the selling agent. Don’t try to pick holes in the property. Do your homework. If you want to be able to negotiate on price, you need to have a good idea of what similar properties in the area have sold for in the past couple of months. You should walk through plenty of open houses and keep a close eye on the sold results for your area. (If the selling agent offers to give you a list of sold results, accept politely but do your own research because they will probably choose the highest prices to help in their negotiation with you). Don’t try to buy outside of your price range. If a property is advertised at $500k to $550k, and your budget is $450k, don’t waste your time. You will only destroy your credibility if the right property comes up with that selling agent in the future. Try to find out what the vendor’s motivation for selling. If they need a quick sale, or if they require a certain settlement period, this could help you to negotiate a deal that works for everyone. By including something in your offer that sweetens the deal, this could put you ahead of other buyers in the race. Timing is everything. Some would advise that it’s best to make the selling agent chase you as much as possible. But depending on the area, you might have a win by putting your offer in early. In areas with slow property sales, a vendor might be shocked to receive an offer in the first few days on the market. If you make your offer valid for only a day or two, the vendor will need to decide whether they wait and hope that someone else will come along, or whether they accept your offer for a quick sale.